A rising water bill with no explanation is usually the first indication that the home may have a water leak. Some leaks, such as a dripping faucet, are easy to spot. Others are more difficult to find because they leave few telltale signs of their presence. Professional plumbers have the tools needed to track down most leaks, but there are a few things you can check first. Work in a systematic fashion, isolating and checking one area at a time. Even small leaks waste hundreds of gallons of water in a year’s time. Add a few drops of food coloring to the toilet tank, but don’t flush the toilet. Wait about 10 minutes and check the bowl. If food coloring is staining the water in the bowl, the toilet has a leak. Typically, the flapper inside the tank is no longer creating a tight seal, allowing water to slowly escape. You can either clean it or replace it. The large ball float may need adjusting to keep the water level at the right spot. If it is set incorrectly, it never tells the fill valve to shut off, so the valve supplies a constant flow of water. Sometimes, these leaks make no noise so are tough to detect. Check all the toilets in the home one by one. Check the water flow indicator to the home when all devices -- toilets, faucets, outdoor sprinklers, ice makers, etc. -- are not in use. The indicator is typically located outside, below ground under a steel cover and is also where the main shutoff valve is located. If the meter is running while all devices that use water are turned off, a leak exists somewhere along the system. Turn off the water supply, one at a time, to each device that has one. 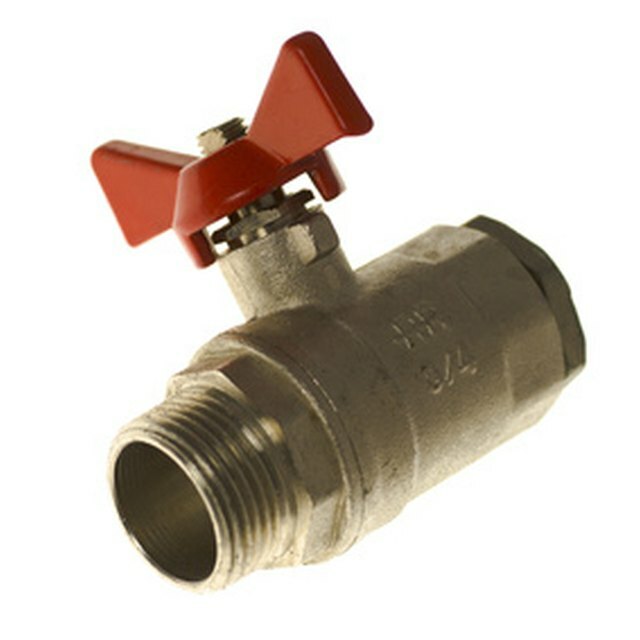 Small valves are often located under the device or inside a cabinet below the device. Turn off the valve to one unit and check the flow meter to see if it is moving. If water continues to flow, that device is not the problem. Isolate each device in this manner. Shut off the individual valves for each device in the home all at the same time. If the meter indicates that water is still flowing, a leak exists somewhere along one of the water pipes used to deliver water to the home or to one of the devices. At this point, a professional plumber will need to check the home and isolate the source of a hidden leak.